Founded in 1981, Sea Fresh USA is a Rhode Island-based seafood company servicing local fishermen & the world market. We own and operate our own fishing vessels and unloading dock in Galilee, RI as well as a modern, BRC-certificated processing facility located close by in North Kingstown, RI. Sea Fresh USA is a fully-integrated seafood business - managing all aspects of the fishing - unloading - processing & packing process. 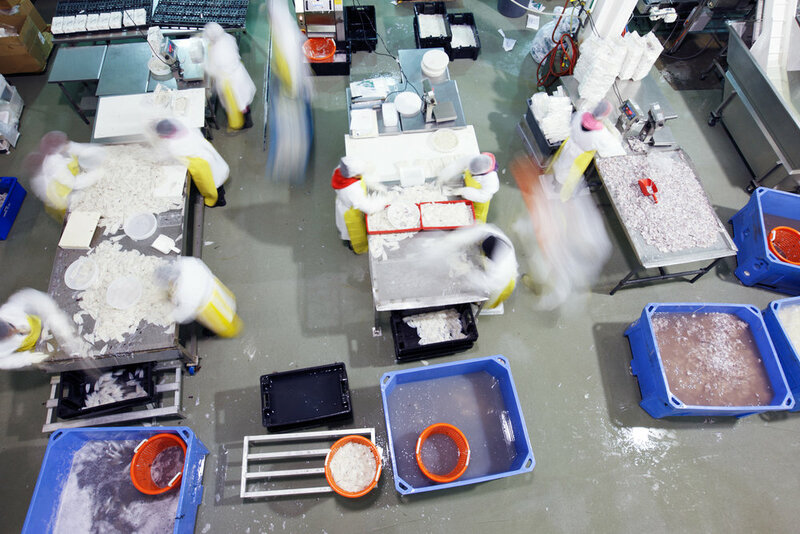 Our expertise in product sourcing helps customers manage the unique supply challenges of wild-caught seafood. Our dock, Handrigan Seafood in Galilee, Rhode Island. F/V Atlantic Queen waits her turn at the end of the dock. The F/V Second Wind heads out on a day trip. Fresh fish boxed in ice and ready to ship. F/V Atlantic Queen unloads in the evening, Galilee, RI. The F/V Rayda Cheramie tying up to unload. A significant portion of Rhode Island's commercial fishing fleet dock and unload in the port of Galilee. 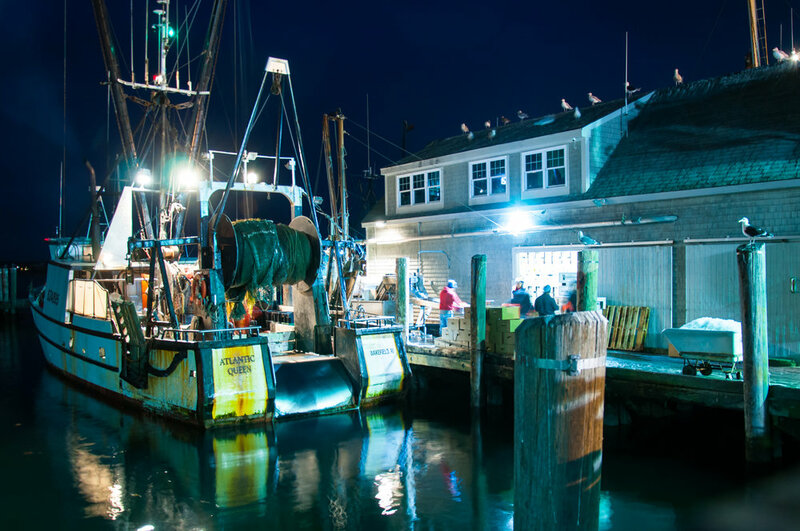 Our affiliated dock, Handrigan Seafood, unloads and buys fish and provides ice and other services for several dozen local independent and company-owned fishing vessels. The port of Galilee in Narragansett, Rhode Island. Our state-of-the-art food production facility is located in North Kingstown, Rhode Island, and employs over 100 workers year round. Our premium Rhode Island calamari is cleaned by hand and frozen immediately for foodservice and retail distribution throughout the USA. Sea Fresh is equipped with both blast and contact freezers. Sea Fresh USA's Rhode Island production facility is BRC certificated, requiring a rigorous annual inspection and strict compliance with current food production regulations. Production Facility in North Kingstown, RI. Custom, private label, and co-packing capabilities.